 Breast Cancer Screening Recs: A Review of Recent Articles and Position Statements - ONRAD, Inc.
DiagnosticImaging | The United States Preventative Services Task Force (USPSTF) released changes regarding the recommendations for screening mammography on November 16th, 2009. Previous recommendations stated that screening mammography should be performed every one to two years for women beginning at age 40. The 2009 recommendations changed this to routine screening bi-annually beginning at age 50 and stopping at the age of 74. For women aged 40-49 the recommendation is that the decision to screen is an individualized one, and overall, this population should not be screened routinely.1 The USPSTF felt that there is insufficient evidence to assess the harms and benefits for women 75 years of age and older. Clinical breast exam was found to be insufficient in regards to additional benefit and the USPSTF felt that breast self-examination (BSE) does not reduce breast cancer deaths and should not be done. The American Cancer Society (ACS) continues to recommend annual screening beginning at age 40. ACS does not have specific recommendations in regards to when to cease screening, but rather states the decision should be made on an individual basis, weighing the risks and benefits.2 The conflicting recommendations have led to a great amount of confusion within society, amongst both patients and physicians, unfortunately leading some patients to stop screening altogether. As part of their process of determining the new recommendations, the USPSTF examined randomized controlled trial (RCT) data compiled in a report by the Oregon Evidence-Based Practice Center, as well as a more detailed report, both funded by the Agency for Healthcare Research and Quality, on screening mammography. The USPSTF evaluated the “harms” of screening mammography, which included considering factors such as radiation exposure, pain during procedures, patient anxiety/psychological responses, consequences of false-positive and false-negative test results, and over-diagnosis of breast cancer. The USPSTF also reviewed modeling of various screening mammography regimens. The new recommendations surprised the breast imaging community, as for years it has been functioning with the knowledge of decreased breast cancer mortality as a direct result of yearly screening mammography. Experts in the field of medicine have spoken out, both in support for and in opposition to, the new recommendations. Some have argued that the USPSTF review was flawed, as it did not include evaluation of several pieces of evidence that would be vital to the final recommendations. Hendrick and Helvie3 wrote an article examining the scientific evidence considered by the USPSTF and list several aspects not included in the formulation of the new recommendations. These include all peer-reviewed studies assessing the benefit of screening mammography that were not in randomized controlled trials using mortality as the outcome measure, including all service screening results, such as the Swedish screening trial and the British Columbian study results. All peer-reviewed analyses of the cost-benefit of screening mammography compared with other interventions were excluded as well. The authors state that the USPSTF chose to ignore the science available to them and overemphasized potential harms of screening. Hendrick and Helvie used six models, concluding that annual screening mammography from age 40 to 84 would result in an estimated 39.6 percent reduction in mortality in comparison to the USPSTF guidelines of biennial screening of women aged 50 to 74 years resulting in an estimated 23.2 percent reduction in mortality, a 71 percent higher mean mortality reduction from annual screening mammography than from biennial screening. Their discussion focused on USPSTF’s results, in which the authors point out that the Task Force failed to delineate the importance of mortality reduction and life years gained when comparing the ACS’s guidelines to the USPSTF’s. The Task Force also failed to discuss the “harms” of not screening, while discussing the “harms” of misdiagnosis and false positives. In January of 2010, the Journal of the American Medical Association (JAMA) published several commentaries regarding the Task Force recommendations. DeAngelis and Fontanarosa4 wrote one such commentary in which they discuss the role and mission of the task force as well as the importance of physicians and patients relying on unbiased available evidence regarding breast cancer screening. There have been many published studies reporting on screening mammography, yet the USPSTF did not include these in the decision-making process if they were not RCTs. As shown by two observational studies of both the screened and unscreened populations, there was a reported reduction of 30 percent to 40 percent in breast cancer mortality for women in their 40s.5 This information was not included in the USPSTF’s review. Dr. Berg5 discussed how the RCT’s used by the task force underestimated the true benefits of screening, stressing that an assumed 30 percent reduction in breast cancer deaths prevents more than 2,000 deaths per year in the Unites States for women in their 40s. Dr. Berg also points out a very important fact that the task force did not consider: 75 percent of newly diagnosed breast cancers of women in their 40s were in women with no associated risk factors and that cancers found in this younger population tend to be more aggressive. She re-enforced that mammography is the only test to date that reduces mortality due to breast cancer, and that screening is appropriate starting at 40 and should continue as long as a patient is in good health. A long-term study, well known in the breast imaging community, conducted by Tabar and colleagues6 began to evaluate mammography screening in the early 1980s in two counties in Sweden. From the onset of the study, it has reflected the benefits screening mammography provides to women. To date Tabar’s study is one of the most extensive and longest-running studies looking at the benefits of screening mammography. As recently as June 2011, 29 years after the start of the study, additional results were released,7 continuing to provide evidence of the long-term benefits of regular mammography screening. The study, which has included 130,000 women, has shown that 30 percent fewer women in the group obtaining screening died of breast cancer and this effect continued to persist over the years. This study initially began with utilizing single view mammography with interval screening at 23 to 33 months, with the belief that had they utilized the two-view mammogram and screened at 12-month intervals, the impact on screening would have been even greater. In a 2009 ACR Chair’s Memo8 (published in the Journal of the American College of Radiology), Dr. James Thrall passionately discusses the flaws in which the Task Force gathered data, using science with some recommendations and theory with other recommendations. He points out that the recommendations were “startling for the lack of evidence to support them,” especially when addressing the harms of unnecessary treatment and radiation exposure, when there is no existing data on “whether women are willing to trade years of their lives for the supposed reduced anxiety of not going through the screening process with its inevitable false-positives and risks of over treatment.” Another observation he made was the fact that none of the Task Force members had expertise in imaging or breast cancer screening, stating on one hand that there is the need for non-bias within the statistical evaluation. However it is questionable how the same group was able to voice their subjective view regarding anxiety negating the benefits of screening without any expertise or first-hand experience on the matter. Dr. Thrall questioned why the Task Force favored modeling as opposed to direct data from other countries regarding decreased mortality and went on to state that their main goal should have been to get the numbers correct rather than basing the recommendations on theoretical models.